MatchFinder DX 3.0 can accept an extensive database of the candidates such as detailed job description, place of employment, type of employment, occupation of father and mother, information on brothers and sisters, personal preferences and habits, income and wealth details. Complete horoscope chart, including dasa balance can be stored and viewed on the screen. Bio-data is organised into five convenient screens for ease of viewing. Matching can be done based on birth star, horoscope, education, social background, etc. The match logic is specially designed to make the selection process more accurate and convenient. The selection is done on a point basis. Astrological matching is also given points. To identify matching pairs, MatchFinder mainly takes into account, the preferences marked by the applicant. In addition, the computer system also adds its own intelligence to bring out other probable matching cases also. The porutham reports of the matching candidates also can be prepared using the software. The output reports can be saved & printed as well. Match Finder DX 3.0 support multiple databases. Bio-data, photo, specific requirements and horoscope charts (if required) are the inputs to Match Finder DX 3.0. Advanced customized partner preference search. Religion, Native place, Present place, Job, Birth star options can be included or excluded in the search as per the requirement of the client. Bio-data can be printed in English. 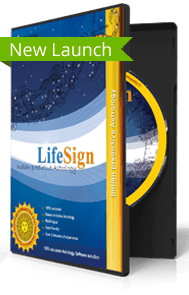 Horoscope charts & reports are available in regional language. Main search interface includes, match with requirement & match with specific person. Detailed Horoscope matching search with the preferred candidates in the database. 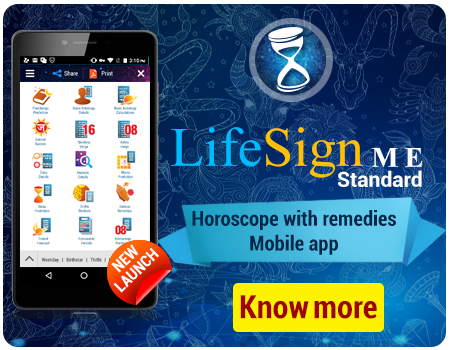 Match Finder DX 3.0 allows composing Horoscope charts. Single page bureau type report is available. Customization of reports can be made giving matrimony bureau name in reports. Back up & restore of customer database. Scanner can be configured with Match Finder DX 3.0 to feed photos. MatchFinder DX 2.0 is a unique database solution for matrimonial bureaus. The software has the facility to store the complete details of a candidate and his requirements for a life partner. Once the candidate's data goes into the database, the software can intelligently check for matching candidates from within the database and the address of such candidates can be given to the customer. MatchFinder DX 2.0 efficiently manages large databases. The database system is very easy to use and requires minimum operator training. The system is designed in such a way that the client can easily choose their life partners based on individual preferences, apart from the automatic selection criteria, programmed in the software. The applicant can specify the place and type of employment, income and wealth of the required life partner etc., and choose the most appropriate match from an extensive database. Match Finder DX 2.0 allows customized partner preference search in the database. Horoscope matching search with the preferred candidates in the database. Scanner can be configured with Match Finder DX 2.0 to input photos.